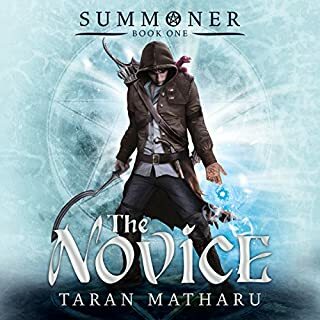 A rich, compelling and laugh-out-loud new series for all teen, YA, adult and fantasy fans. How do you survive a mage's duel without magic? Kellen's about to risk everything: his family, his home, even his own life.... When you're a Jan'Tep initiate approaching your 16th birthday, you'd better be ready to prove your worth as a mage. Either that or have a miracle on the way. And Kellen isn't counting on either. He knows he'll need a few tricks up his sleeve to avoid disgracing his family and becoming a Sha'Tep servant. That’s when they call me. My name is Opal Yong-ae, and I’m a Cleaner: a freelance mage with an art history degree who’s employed by the DFZ to sort through the mountains of magical junk people leave behind. 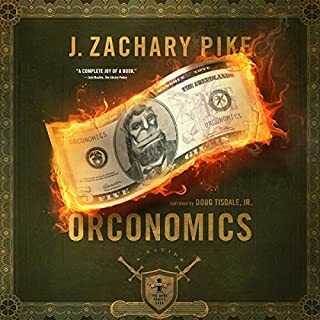 It’s not a pretty job, or a safe one - there’s a reason I wear bite-proof gloves - but when you’re deep in debt in a lawless city where gods are real, dragons are traffic hazards, and buildings move around on their own, you don’t get to be picky about where your money comes from. You just have to make it work, even when the only thing of value in your latest repossessed apartment is the dead body of the mage who used to live there. 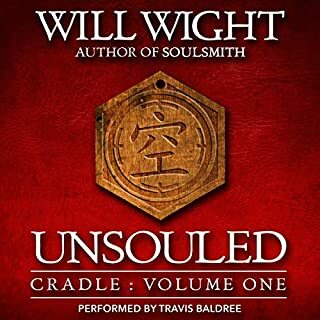 Author’s note: This is the first in a new series set in the same universe as my Heartstrikers books, but you don’t need to have heard those stories to enjoy this one. 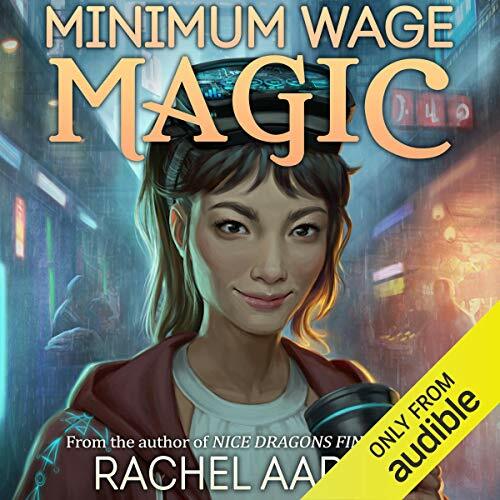 Minimum Wage Magic was written to stand by itself, so if you haven’t listened to the others, don’t worry! I wrote this book with you in mind. Thank you so much for listening! 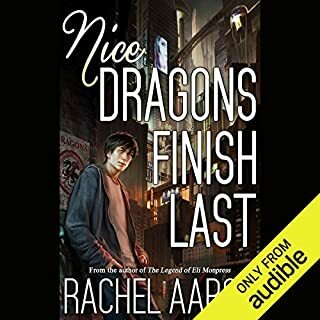 ©2018 Rachel Aaron (P)2019 Audible, Inc.
An enjoyable new foray into the Detroit Free Zone of the “Nice Dragons Finish Last” universe, but lacking the complexity and humour of the Heartstriker books. 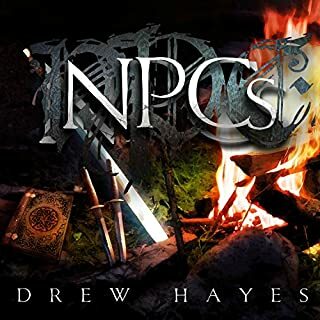 There are two protagonists as opposed to a clan of dragons and the narrative was interesting but less complex. That said, I look forward to book two. another slice of the heartstrikers world, please and thank you. definitely going to look forward to this new series. I miss the Heartstrikers! I must sadly say that there are no cameos. But people from the series are mentioned. Yes I kept hoping someone would pop up, even if it had made no sense. Cos I miiiiiss them! But to this book then. Opal is a cleaner. She cleans out places and sell the good stuff. She studied magic at College, but she needs money, and fast. It takes a while to learn why. She also has a troubled family relationship (I was sort of right, but not quite.) She just wants to do her own thing and I can respect that. She also has the coolest AI sidekick called Sybil, who is in her phone, or whatever electronics she can be in. I do not want to say too much about the story, but there is a magical mystery to solve. And she will have help. I have only listened to her once before and I think that was goo. Now Emily brought in another world and I felt she was Opal. Since all those others I have talked about, well to hear their voices I would have to hear THE voice. 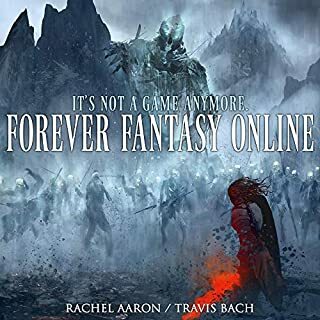 Rachel Aaron is a talented author who writes entertaining fantasy books. Minimum Wage does not disappoint. 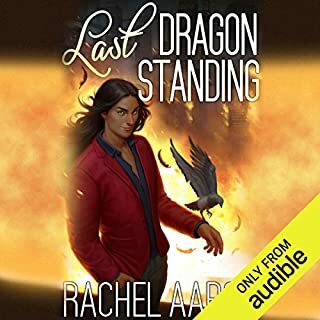 I had decided not to write another review but Rachel Aaron is too talented to ignore. My reviews are being bullied by a group of 4 - 8 people who check dislike on all my entrees; thus putting my comments at the bottom of reviews. Effectively silencing me. Great book. 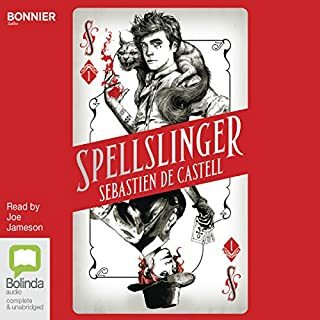 Please keep Emily Woo Zeller as Narrator, because she is very good. She bought the book to life. Good story now, I have the start Rachel Arron's other series connected to this story. I loved this story. 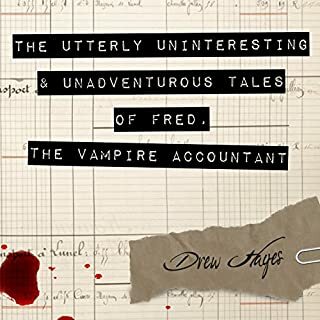 It was fast paced and humorous. It had lots of action and twists. 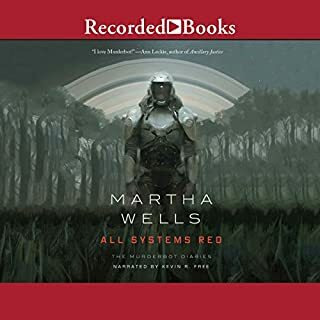 The narration was excellent besides that every now and then Sibyl got a little shriek-ish and super high pitched for me personally. Other than that it was highly enjoyable and I can’t wait for the next one. the story and world building were fantastic. I didn't realize this was YA until I was halfway through and I am thankful I bought it now. pretty easy as an adult to sympathize with Opal and her complex situation, wonderful way to help explain it to a younger crowd. I hadn't heard of the Heart Strikers series, but I may have to give it a try too while I wait on the next DFZ book. I also loved that the author took a city like Detroit and rebuilt it to something epic and enviable, a feat I never considered possible of Detroit! 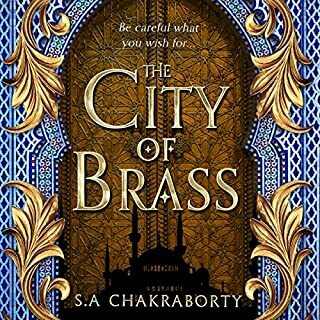 I haven't read the series this books world is based in and I honestly didn't need to to enjoy this book. It was fast pased with twists and turns. I really felt for the main character and I can't wait to see what is next to come. 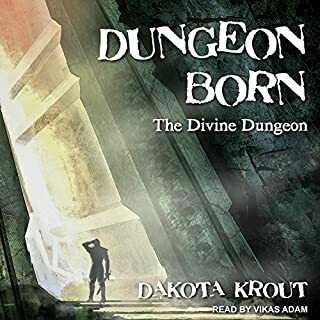 I enjoyed the book almost as much as the first Heartstriker book. 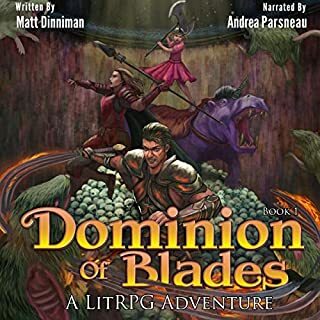 The narration was great and I liked the story. I believe we see parts of ourselves in others and this book had the same manipulative parentage that I related to in the Heartstriker books. It is nice to read a real good! book I am a fan of the older sci-fi but this was "Damm I have to go out but I will rush back to the book! A good book in the theme of the authors earlier work. 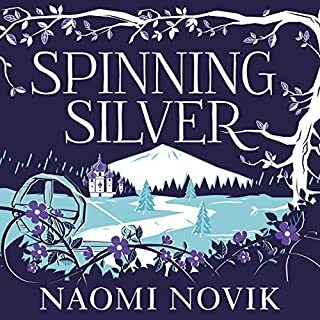 Plenty of references to the Heartstriker series for fans, however there is no need to have read the earlier books to enjoy this one. Well worth a read. Enjoyed this first in a new series after loving her previous series, Heartstrikers, last year. 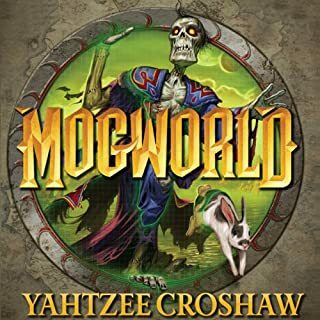 The DFZ is a great setting and it's got fun magic in, and I enjoyed the relationships between the characters. 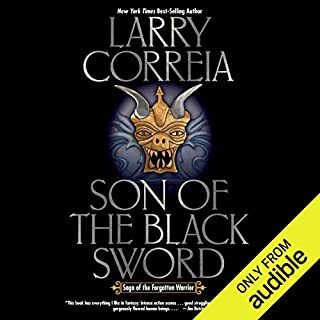 Fun quick read and I'll read the next in the series. 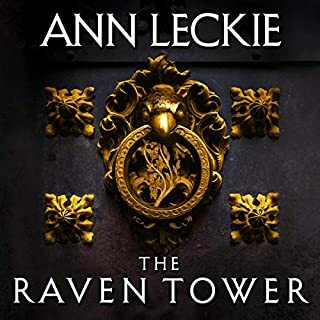 Very good narrator so far as well. 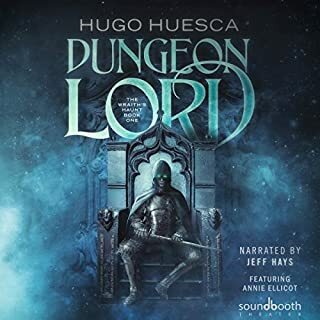 An entertaining audiobook that is well read and has some interesting characters. The only issue I had was with the male voices as sometimes it was hard to tell which character was supposed to be talking.